Roses are red, violets are blue, what’s more romantic than dinner for two? Dinner for two paired with thoughtfully selected fine VQA wines, of course! 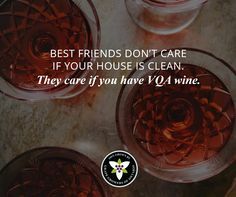 Whether you’ve booked a reservation at your beloved’s favorite restaurant or plan to wow your dinner date with an irresistible made-from-scratch meal in the relaxed, unrushed comfort of home, fine Ontario VQA wines will elevate the evening. There’s one caveat, though: You need to make smart pairings. Not sure how to do that? Relax! 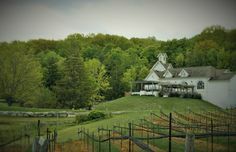 Let local wine, beer and food enthusiast; renowned sommelier and well-known blogger Shawn McCormick be your guide. Read on for Shawn’s trustworthy tips (and even an easy-to-prepare recipe) designed to ensure your Valentine’s Day dinner (and Cupid’s arrow) hit the mark. The ultimate wine for celebrations! What better way to celebrate the Day of Love, than with a bottle of bubbly! 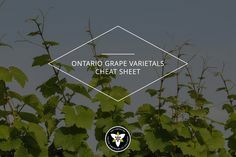 Many Ontario VQA Sparking wines are made in the exact same method as “champagne” from France. This means that the bubbles are formed from a secondary fermentation of the wine in the bottle. 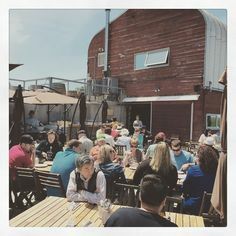 Try a dry or “Brut” sparkling with a shrimp or stuffed mushrooms dish, or a VQA sparkling rose wine with smoked salmon or chocolate covered strawberries! Commonly considered “the wine of love” and oft described as a soft and seductive wine, Pinot Noir definitely deserves a spot in your Valentine’s Day repertoire. One of the most versatile food wines, it pairs well with dishes ranging from vegetarian to lighter meats. Regardless of what’s on the menu, you should have no trouble incorporating a fine Pinot into your amorous evening. 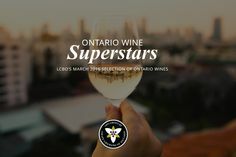 Ontario Pinots run the gamut from slightly lean, earthy and mineral-driven vintages to fruitier New World styles. 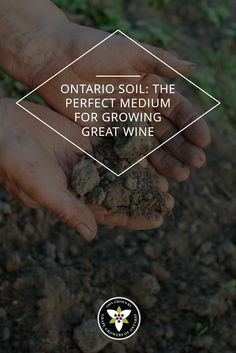 Probably the most readily accessible wine style in Ontario, nearly every winery produces at least one wine that is a blend of these two classics. Cabernet Sauvignon (or Cabernet Franc) adds structure and tannins to the wine, while Merlot traditionally adds black fruit notes and a softer touch. The fruit-driven, medium-bodied Cabernet-Merlot combination is balanced, bright and robust. In other words, it’s extremely drinkable and will please even the most discriminating Valentine’s palate. 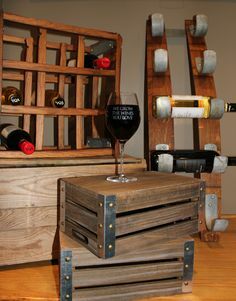 If you are in a pinch and just have time for one wine, think to yourself, que Sera, Sera—you’ve hit the nail on the head. (Almost.) It’s not Sera you should grab, its Syrah. Crafted with hints of dark fruit and spicy pepper, Syrah will infuse warmth and spice into your special evening. If your February 14 plans include snuggling with your Valentine in front of a warm fire, that’s a romantic plan. Even more romantic? Snuggling while swirling a fine Ontario VQA Syrah. If your Valentine’s evening includes chocolate (as it should!) make the course even sweeter by pairing it with a Cabernet Franc red VQA Icewine. 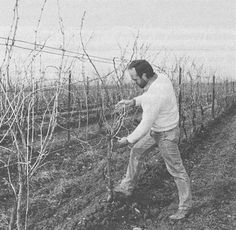 There is an art to making chocolate, and there is an art to making Icewine. Crafted of frozen winter grapes, each fruit yields just a drop of this heavenly wine. Like chocolate (and like a Valentine’s Day kiss), Icewine is meant to be savored. Icewine pairs well with any chocolate varietal: dark, white or milk. The chocolate and Icewine course may be the culmination of your Valentine’s Day meal. It most certainly will be only the start to your Valentine’s Day fun. As delightful as your wine flight will be, you’ll need to marry it with food lest the evening end prematurely. If you opt to stay home where you can set the mood with your pre-selected fine wines, candles, music and a blazing fire, consider this delectable, easy-to-prepare recipe for Linguine Amatriciana. Even if you’re not on track to become the next “MasterChef Canada,” with advance preparation, you can pull off this delicious dish. Not only will you score points with your Valentine for effort, everyone knows a home-cooked meal is the way to a man’s or woman’s heart. 1. Cook diced pancetta or bacon in a large saucepan over medium-high heat until crisp (about four to five minutes). Drain most of the fat, but reserve about two tablespoons (30 milliliters) of drippings in the pan. 2. Add onions and cook over medium heat about three minutes. Add the garlic and red pepper flakes, stir and cook 30 to 40 seconds. Add undrained canned tomatoes and simmer 10 to 12 minutes, breaking up tomatoes with a spoon. 3. As sauce simmers, cook the pasta in four quarts of boiling, salted water until al dente. Drain. 4. Stir the basil into the sauce, and then toss with cooked pasta. Serve topped with grated Pecorino or Parmesan cheese, accompanied with a small salad, fresh crusty bread and a great Ontario VQA wine! If you plan to delight your dinner date with this homemade Linguine Amatriciana, since it’s tomato-based, pair it with a red wine that has the acidity to complement the sauce. Any of the aforementioned reds will pair well, but a fine Syrah will pick up the smokiness of the pepper flakes and pancetta/bacon and make an especially delightful choice. Bon appétit and joyeuse Saint Valentin!